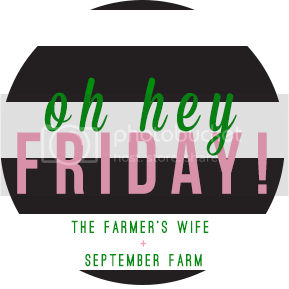 Hello there, Friday. Nice to see you. It feels like we just said goodbye and you are back again. That’s what I love about you: you come back. You always do. That is, for those of us who are blessed enough to still be here. Hollywood has lost another star this week: Joan Rivers. Oddly enough, there weren’t quite as many people quick to jump on social media to talk about how Joan touched their lives. Or, at least, not as many people as were inclined to talk about Robin Williams. I totally get it. Robin Williams entered our living rooms with magic and left because he had to ‘see about a girl.’ He treated sick kids for free, he crossed-dressed to see his own kids, and he was the kid who wanted to be a little boy forever. I think that is what I will remember most about Robin Williams, actually. When he was outside of his characters, Robin was the manic guy in the chair across from his interviewer, quick to re-direct the questions in the most child-like ways: flailing his arms, impersonating other stars, and making everyone laugh. Robin was truly one of the greatest comedians of our time. Ironically, Joan Rivers had the same goal as Robin: to make everyone laugh. 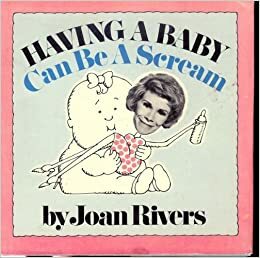 Joan was just a little less animated, a lot more biting, and bit cleverer in her humor. I don’t think she ever set out to be a trail-blazer for other women to enter the male-dominated comedy scene, but that is just what she did. And she carved the path with a permanent smile on her face, and no, that smile was not just from her multiple plastic surgery procedures. Sorry Joan, I had to. 1. Work hard so that you can do what you love. Joan continued her career in show business for almost sixty years. SIXTY years of relevancy in the media. She came on the scene in the late fifties and was still working for E! filming Fashion Police and making everyone laugh throughout the decades. She didn’t ever stop. The above clip was on the Johnny Carson show, whom she credited her start in the business. On the interview tour for this particular book, she was on yet another show smiling saying that she had “no complaints,” and that she was truly happy being a “workaholic.” She mentioned that everyone should find a job that they loved so much that they don’t look forward to five o’clock, and instead, dread the end of their workday. Her passion for her work was obvious. She worked harder than anyone in the business to be the best. I’m talking about the fact that Joan Rivers arrived on set every single day completely transparent and totally vulnerable. She is quick to praise those who are doing a great job and quick to be grateful for her family. Take a look at her 1990 Daytime Emmy acceptance speech. 3. People may not like what you have to say, but they will respect that you are honest. I’m just going to leave this gem right here. 4. Don’t be afraid to laugh at yourself. 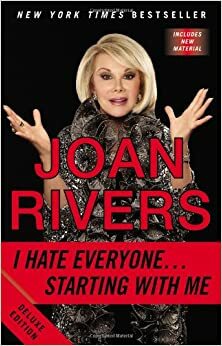 One of her novels is titled, “I hate everyone, starting with myself.” Joan was an equal opportunity offender. While I disagreed with much of her humor, and found that the majority of her jokes crossed the line, she certainly didn’t relegate her sardonic humor just to the stars. She was quick to laugh at herself and make light of her personal struggles and tragedies. 5. Never be afraid of a good pun. What were your favorite/least favorite lessons from Joan Rivers?